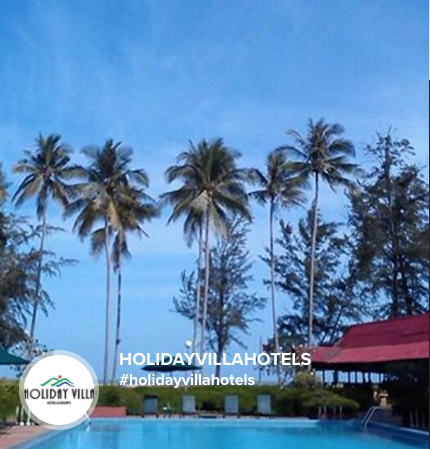 Holiday Villa Hotels & Resorts, based in Kuala Lumpur, Malaysia, is an international hotel brand operating 20 hotels in 8 countries. Holiday Villa offers a total room inventory of 5,000 rooms ranging from city hotels, beach resorts and pool villas. D’Villa is our latest brand offering serviced apartment. By 2018, we will be adding 02 hotels to the group through management services and licensing agreement. Holiday Villa operates through various business modules with our business partners and associates. Besides owning and managing hotels, we also provide management services contract, joint ventures and licensed property management. Our tagline, “Let Us Manja U” captures the essence of the service and dedication we instill in all our staff as we aim to deliver a unique experience to our customers. “Manja” is the Malay word for “to pamper”. With a current workforce of about 5,100 worldwide, we take pride in our cross-border management team. Collectively, the team possess an unparalleled depth of knowledge and experience in the hospitality industry. We place high emphasis on staff development within the group, from rank and file, supervisory and management levels. Captivated by the serene beauty of peninsular Malaysia’s east coast beaches, Tan Sri Dato’ Azman Shah Dato’ Seri Haron and Puan Sri Datin Mavis Masri Azman bought their first hotel in 1987 in Cherating, on the east coast of Malaysia. Thus incorporated in year 1987, Alangka-Suka Hotels & Resorts Berhad (a subsidiary of the public-listed Advance Synergy Berhad) to manage the brand’s operations, acquisition and subsequent expansion. Today, Holiday Villa Hotels & Resorts is the leading Malaysian global hospitality company, with properties spanning across the globe from its homeland in Malaysia to Indonesia, Cambodia, P R China, Qatar, Sudan, Saudi Arabia, France and the United Kingdom. Our mission is to be recognised as a premiere hospitality management group. Holiday Villa is a registered trademark in Asia, Europe, Middle East and United Kingdom.